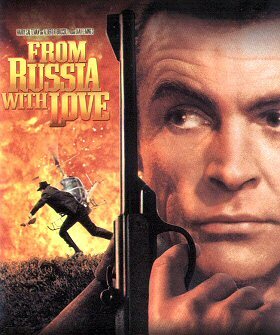 This month, MI6 celebrates Sean Connery's second outing outing as 007 in "From Russia With Love". In the gritty Cold War thriller that set the formula for Bond films to come, James Bond faces off against both SMERSH and SPECTRE, the rogue terrorist organization out to frame him for murder. Throughout April, MI6 will publish a wide-range of articles covering many aspects of the production that took an impressive $78.9m worldwide in 1963.